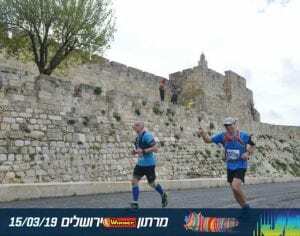 One of TRUE Solicitor’s partners’ Dean Auld ran his first marathon in Jerusalem last week, raising money for Kidney Care UK and the Cystinosis Foundation UK. Dean did an incredible job completing the race in 4.06 hours and has raised over £1400 already! “For my first, (and possibly only), marathon I wanted to run somewhere special. Jerusalem with its incredible history was top of my list. 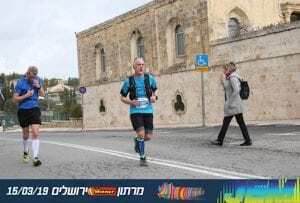 It was a tough race due the course being very hilly – something I hadn’t appreciated when I signed up! I decided to run the marathon in order to support Kay, Lyndsey, Rebecca, Julie and the rest of “Team True” with their fantastic, ongoing efforts to raise money for two amazing charities, Kidney Care UK and the Cystinosis Foundation UK, both of which have provided support and advice to members of our team. Kidney Care UK is the leading kidney patient support charity and provides emotional and practical support and financial assistance to sufferers and their families. The Cystinosis Foundation helps fund research into a rare genetic condition which causes an increase in the body of a natural chemical called Cystine and gives support and advice to sufferers and their families. Team True will be hosting an Easter fundraising day on Thursday 18th April in support of Kidney Care UK and Cystinosis Foundation UK; hosting a bake sale, tombola and raffle. Team True will also be taking part in the Great North Run in September to raise funds for the charity. To donate please visit our Virgin Money Giving page. All donations will be hugely appreciated!